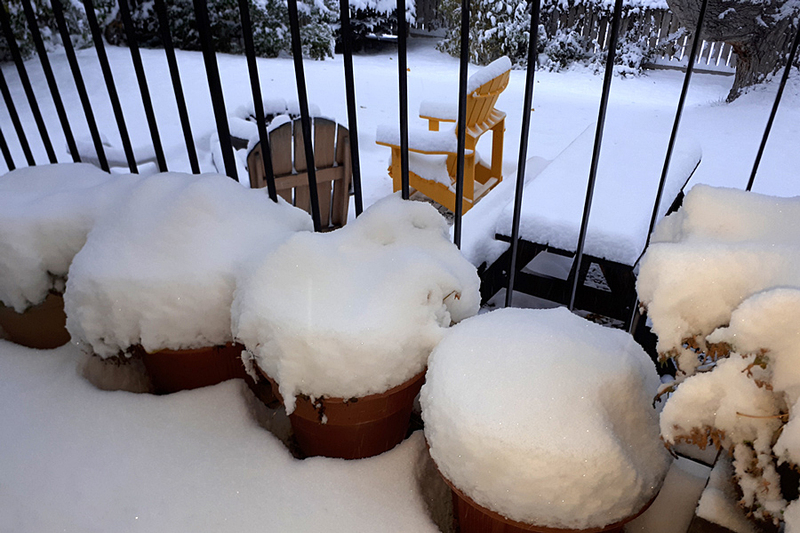 Calgary is welcoming October with periods of snow and temperatures at freezing. It should only be for a couple of days, and then we can get back to Autumn. The trees have changed colour. Here in Alberta, the colours are mainly shades of yellow and orange. One of these years, I want to fly east in the autumn to see the fiery red maples. At any rate, even though the leaves are yellow, they have yet to fall. Hopefully, we can look forward to some mild days later in the month for leaf raking. October is for leaf raking. October is also for ripening berries. 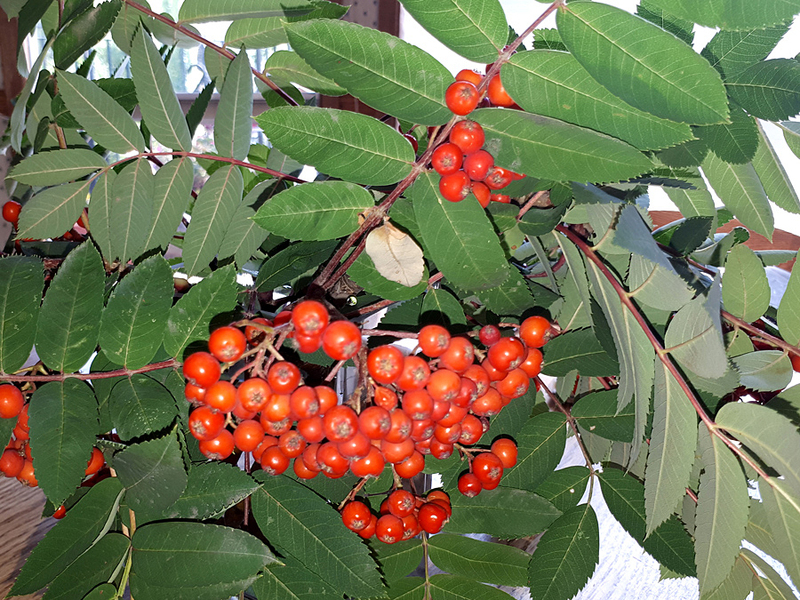 Our mountain ash out front is loaded with berries. They will stay for much of the winter providing lots of food for the visiting Bohemian Waxwings. Mountain ash berries for a centrepiece. Of course, October is the time for pumpkins and pumpkin spice lattes. 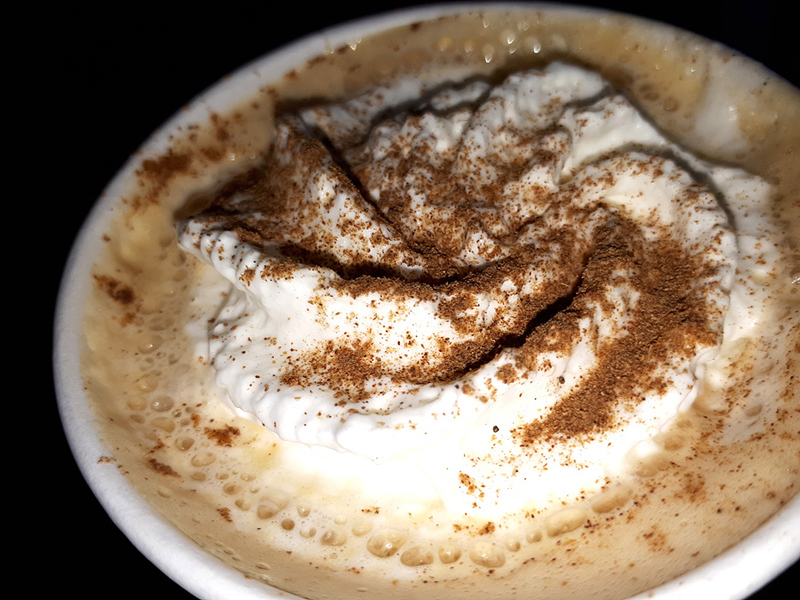 October is for pumpkin spice lattes. October is also time for apples. 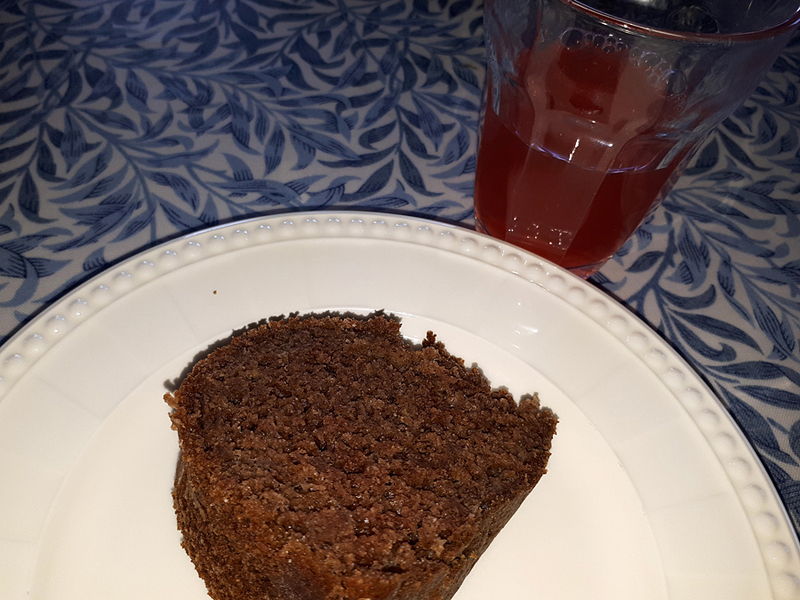 My friend’s daughter harvested local apples and made this apple cake and apple juice. It’s amazing how good freshly picked ingredients taste. As the cold weather approaches, I’m thinking about winter. The long, cold Calgary winter. And I’m thinking about maybe heading south this winter for a short break. I’m saving for that trip. 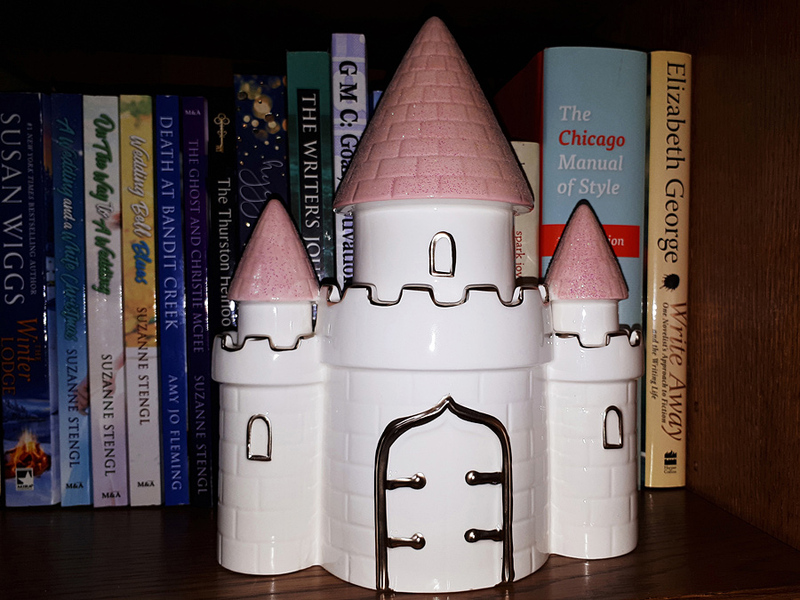 Here’s my Cinderella Castle piggy bank. Canadian Thanksgiving is next Monday. Always the second Monday of October. 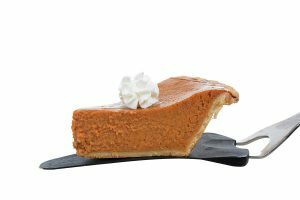 Most people do Thanksgiving dinner on the Sunday and then have leftovers on the Monday. I’m not quite sure what we are doing, but I can guarantee there will be pumpkin pie. And probably whipped cream. What’s your favourite part of October? Are you having turkey next Sunday or Monday? Is it snowing where you are?